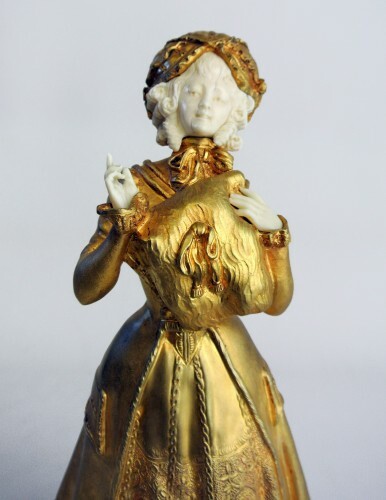 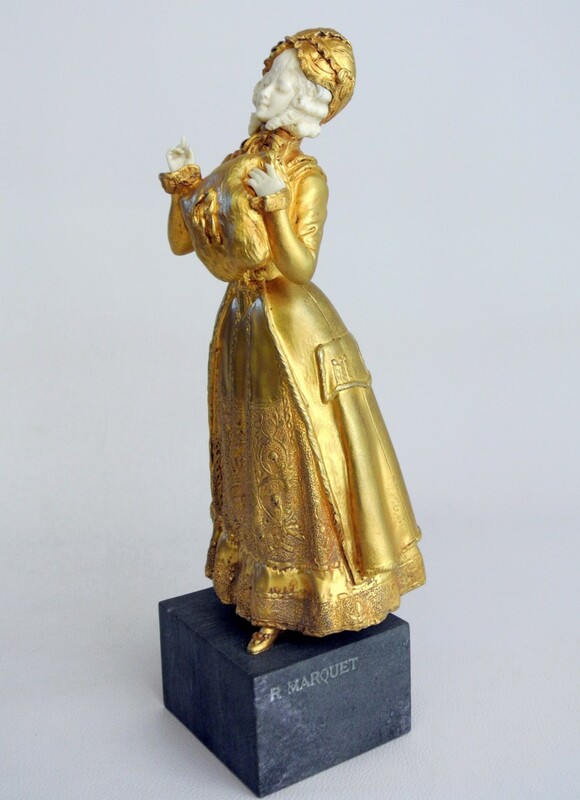 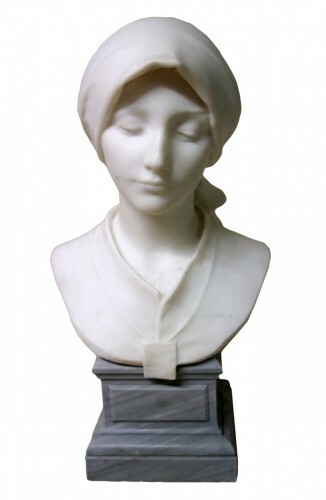 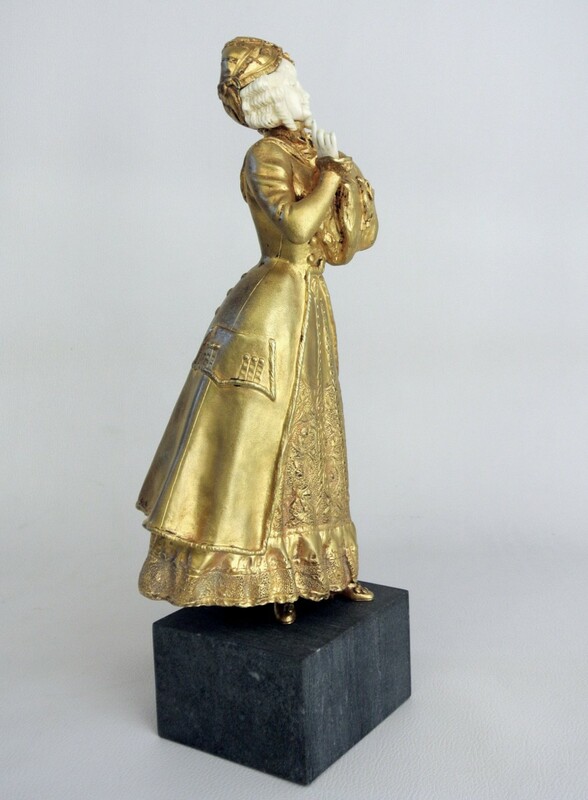 Statuette representing an elegant young woman dressed in the spirit of the eighteenth century, in a defensive attitude, a cushion against her chest. 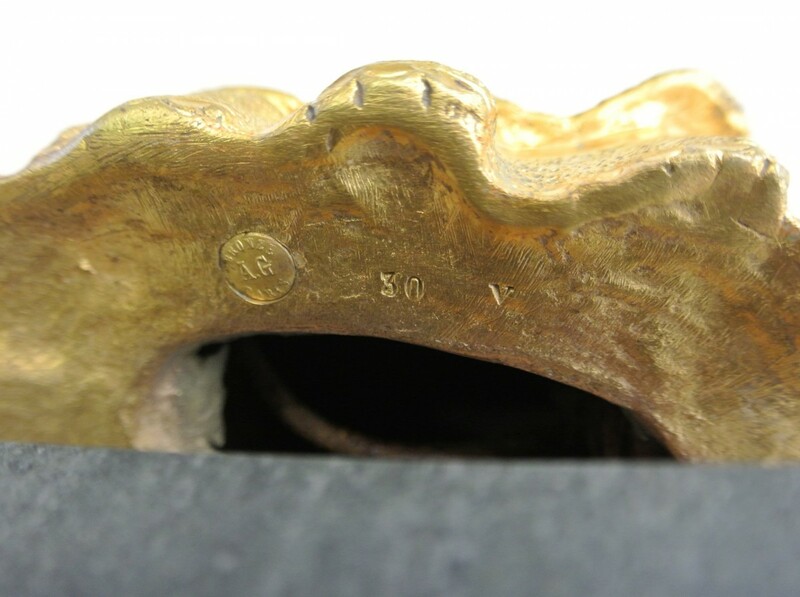 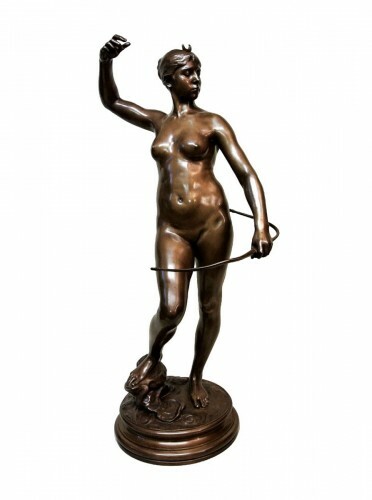 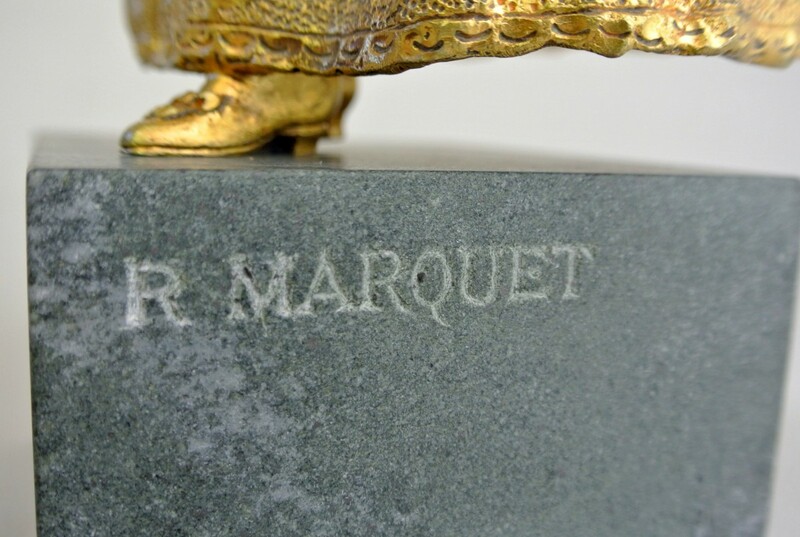 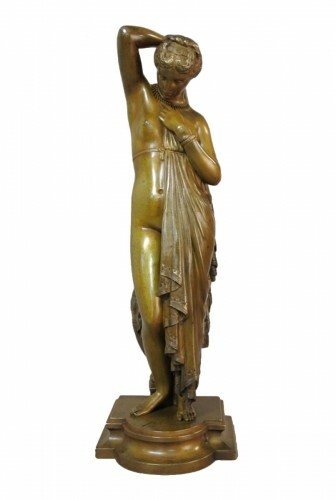 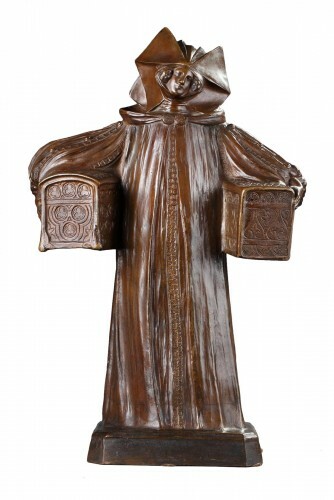 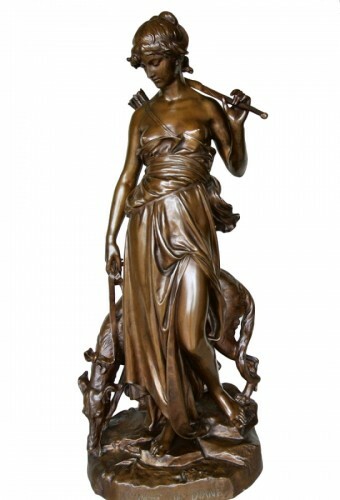 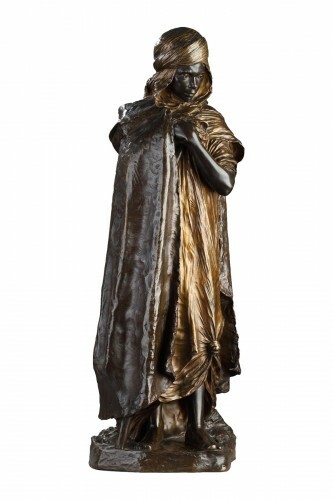 Gilded bronze of the period 1900 signed on the base, René Marquet (1875/1939) stamp de Fonte AG Paris (Arthur Goldscheider) circular pedestal moulded in dark brown veined onyx (restored). 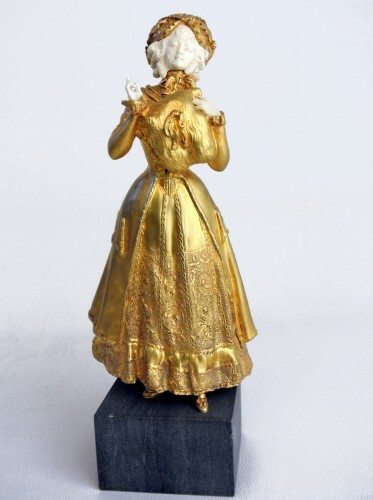 Slight slits on the face visible in the photos. René Paul Marquet was born in Port-Louis, Morbihan. 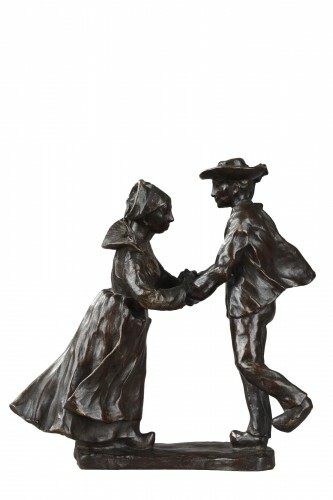 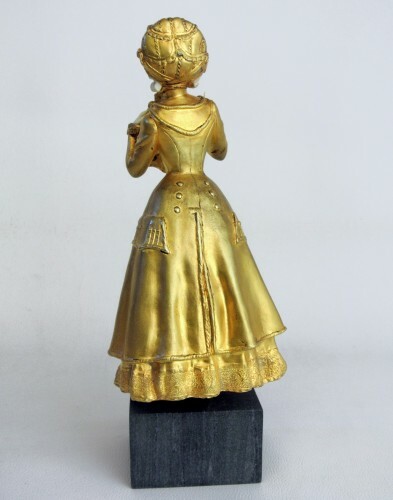 Height of the character without the base: 28.5 cm.